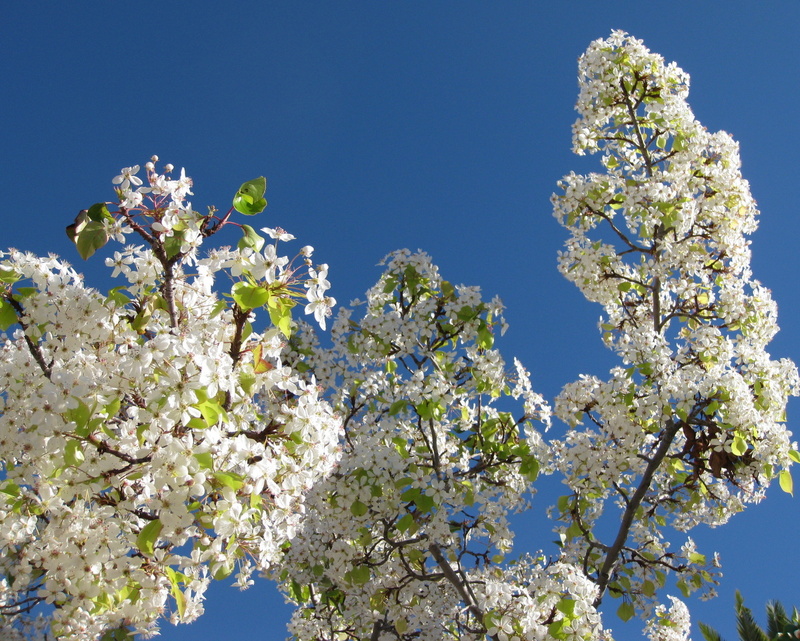 Billows of white flowers on an evergreen pear. You have blossoms in January? I'm jealous!